Clicking on a level-picture will open a small window on your screen and start playing music. You can place the jukebox-window anywhere on the screen. If you want to change the music just select a new picture from this page, or use the arrows within the little-jukebox. The music will play until you close the little window or click on the mute-button. To download a tune just click on to the level picture in the jukebox-window. Make sure to open only one jukebox or your browser might run into some serious errors! Your browser will only be able to play YM-files if you have the ST-Sound-Plugin installed. Many Atari ST related sites use this plugin, so you won't regret the installation. If you don't want to install the little ST-Sound-Plugin maybe you wish to listen to YM-Files in WinAMP, there is a WinAMP-Plugin available too. All necessary files to use ST-Sound-Plugin in your browser or in WinAMP are located on the Lethal Xcess download-page. There is only one midi-file available, but maybe there will be more in the future. A guy nicknamed Oedipus sequenced the title-music from Lethal-Xcess level one. He did a very good job on the conversion. Oedipus did a lot of high quality midi-versions of "old skool" game tunes, which you can download for free. So don't hesitate and give it a try. If you have installed the Deliplayer, you can enjoy all the Hippel COSO musics ripped straight from the Amiga. On Atari machines you can use jam 1.0 from cream. There are two special tunes from the intro- and end-sequence with feature seven voices. If you download the COSO-files (295 kb), you get the Atari ST intro- and end-sequence tunes on top. Alain Derpin sent in some SID-Conversions of the Lethal Xcess tunes. They had been released in various issues of "Game On" and "Magic Disk 64". The conversion had been done by Thomas Detert for the C64 Version of LX, which was cancelled later, because the artist quitted the project for personal reasons. Check out the C64-SID tunes (18 kb), playing perfectly on the PC with Deliplayer. You can also use SidAmp, which is a plugin for the famous WinAmp or you can enjoy them on your Atari machine, download PlaySID by Cream for the (Mega) ST, the (Mega) STE or the Falcon 030. Last not least you can listen C64-SID-tunes directly from your favourite Browser (Netscape or IE) with SIDPlay. There are some nice MP3 files converted from the Atari ST version of Lethal Xcess available. Alain Derpin strikes again with VBR-encoded MP3. I will record the Amiga tunes from the original game as soon as possible. When this task is finished I will put the VBR-encoded files onto this page for download. I am almost sure anybody has noticed the great Intro of the Ultimate Music Demo 8730 by PHF while I am typing these lines. Within that intro many classic chip- and Atari-SID tunes are mixed into a 20 minute 30 second mega-medley by TAO of Cream. 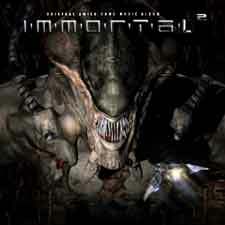 An excerpt with the music from Lethal Xess Level one has been converted to a 932 kb VBR MP3 by Alain Derpin. Anyway congratulations to PHF for that nice intro and the biggest collection of Atari tunes within a single demo so far. A shame that our Audiopac-demo has been beaten once again with a much bigger number of ripped tunes :). There are two CDs with Tracks from Jochen Hippel available. A third was planned but never released. 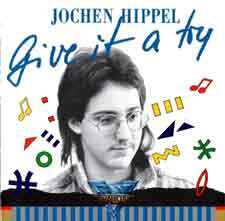 Jochen Hippel "Give it a try"
"Give it a try" was Jochen Hippels 1st CD and had been released by Thalion, you can still buy the original CD at the Thalion Source or you can download the MP3 files from the Thalion Webshrine. "Jochen Hippel remixed" is another CD with Music composed by Jochen Hippel. It had been arranged by Mike Weling on the following Hardware: Kawai GMega, Quasimidi Quasar and Alesis D-4. "Jochen Hippel remixed" is available from the Thalion Source. Mike Weling aka SevenEleven has uploaded the Level 4 tune on a site with free MP3s, so I could finally add it to my site. Unfortunately the tune has disappeared from that site in the meantime. But you can find it here and at the AmigaRemix-Website now. Jochen Hippel and Christoph Remspecher recorded the whole Soundtrack of Lethal Xcess with professional equipment in march 1993. These tracks have never been released so far, but Jochen and Christoph agreed to making them available for free. The material is still copyrighted and may not be sold or put into collections without the written permission from the original artists. If you like to burn the VBR MP3 files onto a CD you might also want to have a cover which can be downloaded by clicking onto the little cover above. If you like to mirror these files from your website we suggest you get in touch with the copyright owners first, because so far they have only agreed to make them available from three websites. These sites are "The Thalion Source", the "Immortal CD Website" and of course the site you are browsing right now. 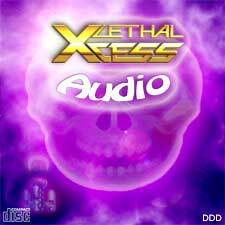 Lethal Xcess Audio CD, original recording 07.03.1993, 24 bit "protz" remastered 22.02.2002 by Siram @ spiritual orbit. Wow! Good news, one of the tracks mentioned above has been completely new recorded. Maybe this will compensate the loss of the original tracks. It will be released as Track 13 on the forthcoming "Immortal 2" CD, a collection of the very best Amiga Tunes, rearranged and performed by the original composers whenever possible! Many popular game musicians are currently working on this project: Chris Hülsbeck, Allister Brimble, Rudolf Stember, Barry Leitch, Andrew Barnabas and many more. You can order the CD at the synSONIQ Website or just visit the website of Jan Zottmann, who is the producer of this great CD. Jan made a website for the Immortal CD series too, you can download a lot of the tunes there as well as order the CD itself. SevenEleven aka Mike Weling did some very nice Remixes of the Lethal Xcess tunes. Some of them are available on the Jochen Hippel remixed CD. Both of them are downloadable since some time from the AmigaRemix-Website. 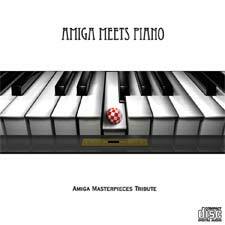 Since AmigaRemix claims that all tunes there are freely distributable I have just mirrored them here. Enjoy some very nice remixes. A German guy nicknamed viddi from the "English Amiga Board" has recorded his piano interpretation of the Lethal Xcess Main Tune amongst a set of other game-songs. Sounds perfect for your wakeup-call or to have breakfast with. You can find 12 of the 16 tunes plus free front and back covers at the EAB-site. This guy is not related to Lethal Xcess nor does his music has anything to do with Lethal Xcess. For personal reasons he had chosen the title Lethal Xcess for one of his CDs. Of course, he is an old ST freak ;-) Some month after I mailed him, he wrote back and it turned out that he was related to the Atari ST-scene once. He was active with crews like Legion of Doom, Sentry Netherlands, Animal Mine and some more, doing graphics and some Pro-Tracker tunes. He also claims to be influenced by Jochen Hippel in an interview, which can be found on the website of Gianni Parotta. Here comes a complete track list with some interesting song names, if you are afraid of explicit language better stop reading here ;). I have also found a place to order the Lethal Xcess CD from 1999 and some additional information on the guy and his discography.